Syria’s Foreign Ministry on Tuesday called on refugees to return to their country, saying the government had been successful in clearing large areas of the war-torn country from “terrorists,” Associated Press reported. Of the approximately 5.6 million Syrian refugees who have fled the country since the beginning of the civil war in 20111, 3.5 million live in neighboring Turkey. This is the first formal appeal of this kind broadcast on state official media, the agency said, reflecting the government’s growing confidence after more than seven years of war. Syrian government forces, with help of staunch ally Russia and Iran, recently retook large areas near the capital of Damascus, and are waging a new offensive in the south. 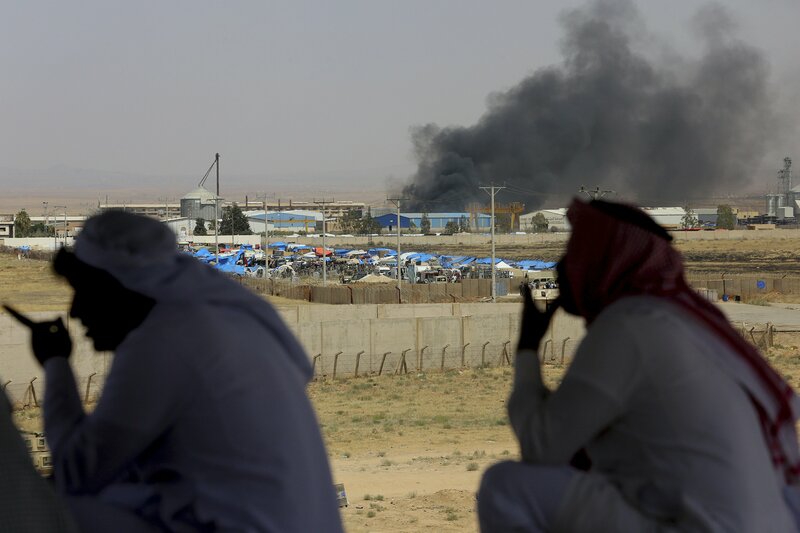 The U.N. Security Council has scheduled consultations for the rapidly deteriorating humanitarian situation in southwest Syria, brought on the by the offensive. The Syrian government currently controls over 61 percent of Syria, compared to early 2017, when it held just 17 percent, AP said citing Britain-based Syrian Observatory for Human Rights. Only 7 percent of Syrian refugees in Turkey live in the 21 camps set up by the Turkish government. Turkish President Recep Tayyip Erdoğan earlier this year said that Turkey’s military operations in northwest Syria could pave the way for the return of many of the 3.5 million Syrian refugees hosted in Turkey. BEIRUT (AP) — The Syrian government on Tuesday called on refugees to return, saying it has successfully cleared large areas of "terrorists." The rare appeal reflects the government's growing confidence after more than seven years of war. While officials usually appeal to Syrians abroad to return during television appearances and interviews, this is the first formal appeal broadcast on official media. Syrian government forces, with crucial support from Russia and Iran, recently retook large areas near the capital, Damascus, and are waging a new offensive in the south that U.N. officials say has displaced more than 270,000 people.